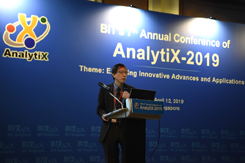 After nearly a year’s meticulous preparation, BIT’s 7th Annual Conference of AnalytiX-2019 (AnalytiX-2019), with the theme of “Exploring Innovative Advances and Applications”, was successfully held in Singapore on April 12-14, 2019. It was hosted by BIT Group Global Ltd., and supported by American International Standards Institute; German Crystallographic Society; Polish Crystallographic Association; Center for Intelligent Chemical Instrumentation, Ohio University, USA; European Crystallographic Association, and Institute of Analytical and Bio-analytical Chemistry, University of Ulm, Germany. 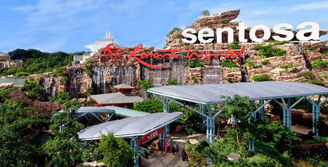 This conference attracted nearly 300 professional speakers and audiences from 35 countries and regions joining it. 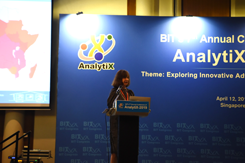 The Opening Ceremony and Keynote Forum of AnalytiX-2019 took place on Friday morning (April 12, 2019). Dr. Elizabeth (Lisa) A. H. Hall, Professor and Vice President of Queens’ College, University of Cambridge, UK moderated the two important activities. The invited guest speakers, Dr. Hian Kee Lee, Fellow, Singapore National Academy of Science; Professor, National University of Singapore, Singapore and Dr. Boris Mizaikoff, Chaired Professor and Director of Institute of Analytical and Bioanalytical Chemistry, University of Ulm, Germany gave the warmly Welcome Address at the Opening Ceremony, respectively. 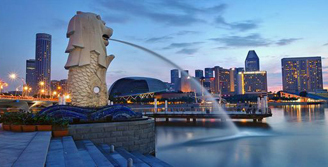 On behalf of our committee, Dr. Lee and Dr. Mizaikoff expressed great gratitude to the presence of all delegates, speakers and participants to AnalytiX-2019 being held in Singapore for the first time and particularly wished all the guests a memorable stay in Singapore. 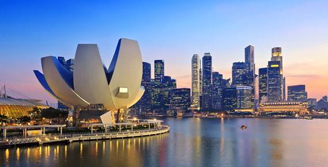 Followed by the Keynote Forum, our plenary speakers were the world-leading scientists who have been involved in the research work on analytical and chemistry for many years. And they were respectively: Dr. Susan Schorr, Vice President, German Crystallographic Society; Professor, Free University of Berlin, Germany; Dr. Roman Kaliszan, Full Member of the Polish Academy of Sciences and the Polish Academy of Arts; Professor, Medical University of Gdansk, Poland; Dr. Elizabeth (Lisa) A. H. Hall; Dr. Hian Kee Lee; Dr. Nigel J. Clarke, Vice President for R&D, Quest Diagnostics Inc., USA; Dr. Dr. Michel Mikhail, International Expert in Biosimilars, Global Expert in Regulatory Affairs, Germany. Those keynote speakers presented very excellent speeches and warmly discussed with the audiences during Keynote Forum. 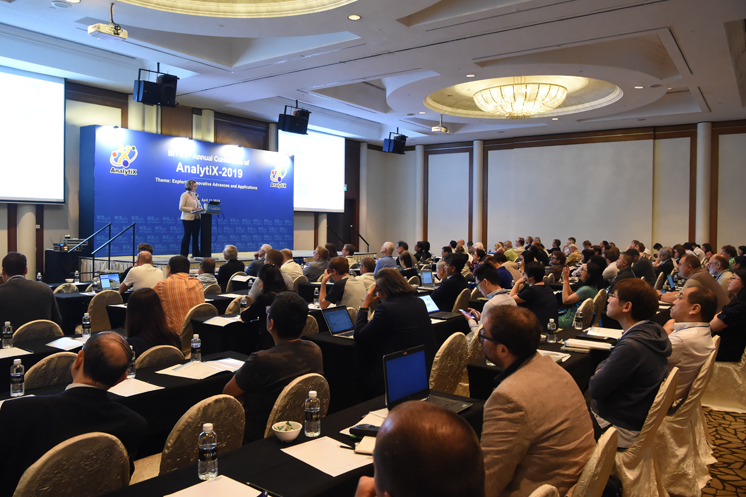 AnalytiX-2019 consisted of 27 Parallel Sessions under 7 Tracks, around 200 oral speeches covering most of the hottest topics on Mass Spectrometry, Chromatography, X-ray Spectroscopy, Electroanalytical Chemistry and Electron Microscopy, 6 exhibitors, 10 posters, and etc. In-depth discussions and exchanges among the delegates were made during the whole meeting. Before, during and after the conference, we received the warmly support and valuable suggestions from the delegates towards the planning and organizing the next conference. 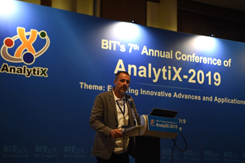 Depending on the invaluable and precious experiences, we are confident that BIT’s 8th Annual Conference of AnalytiX-2020 would be much better than before. Susan Schorr, Professor for Geo-Materials Research, Freie Universitaet Berlin and Head of the Department Structure and Dynamics of Energy Materials at the Helmholtz-Zentrum Berlin for Materials and Energy (HZB), received 1991 her Diploma degree in crystallography from the Humboldt University Berlin. After she obtained her Ph.D. degree in physics from the Technical University Berlin in 1995, she joined the inelastic neutron scattering group at the Hahn-Meitner-Institute Berlin as a Postdoctoral Associate. In 1997-98 she was Visiting Scientist at the Los Alamos National Laboratury, US. 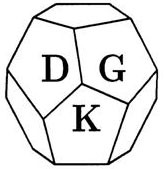 In 2001 she started as a Research Associate at the University Leipzig, Institute of Mineralogy, Crystallography and Materials Science, where she finished her Habilitation in 2006. In this time she started to work on ternary and multinary compound semiconductors for photovolatic applications and developed the average neutron scattering length analysis method to evaluate the materials intrinsic point defects. S. Schorr went to the Hahn-Meitner-Institute Berlin (now HZB) to join the Institute of Technology in the Solar Energy Division as a Group Leader. In 2008 she was appointed as Professor for Geo-Materials Reserch at the Institute of Geological Sciences, Freie Universitaet Berlin and became 2011 Department Head at the HZB. Since 2013 she is the Speaker of the Energy Materials Research Division and in 2015 she was elected Chair of the Scientific-Technical Council of the HZB. Roman Kaliszan, Full Member of the Polish Academy of Sciences (PAN) and the Polish Academy of Science and Arts (PAU), Foreign Member of the Academy of Sciences and Arts of Vojvodina (VANU), Foreign Member of the National Scientific Qualification Committee (ANVUR) of Italy, honorary doctor of the Medical University of Poznań. He obtained both Ph.D. and D.Sc. in Medicinal Chemistry from the Medical University of Gdańsk, where he is a Full Professor since 1990 and where he was Vice-Rector (1999-2005) and Rector (2005-2008). He received scientific prizes of Prime Minister of Poland (twice), Hevelius Prize of Gdańsk, the Prize of the Foundation for Polish Science and the Interdisciplinary Prize of the Polish Ministry of Science. He is recipient of this year Tswett-Nernst Award of the European Society for Separation Sciences. He authored about 400 papers, which get the h index of 51 and about 9000 citations. Elizabeth A. H. Hall received her B.Sc. and Ph.D. in Chemistry from Queen Mary College, University of London in 1974 and 1977, respectively. She spent two years as a postdoctoral fellow in Laboratoire d'Electrochemie in Clermont, France and Institut für Organische Chemie, Johannes Gutenberg Universität, Mainz, before returning to Dr. Bernard Dyer and Partners (analytical and consultant chemists) in 1980. In 1981 she was recruited by the Nuffield Department of Anaesthetics, University of Oxford to work on blood and anaesthetic gas sensors and in 1985 she was appointed as lecturer in the newly founded Biotechnology Centre of University of Cambridge. In 1999 she was promoted to Reader, and in 2003 she was appointed to a Chair in Analytical Biotechnology in the Institute of Biotechnology. Her book “Biosensors” (published by Open University and Wiley) was the first text book on biosensors to be targeted towards a treatment of an understanding of the underlying principles and has been the supporting text for undergraduates and graduates for many university courses.1 The core of Prof. Hall's research programme is found in biosensors and analytical systems, with a focus on investigating the details of mechanism and function. 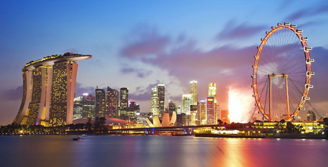 Hian Kee Lee is Professor at the Department of Chemistry, National University of Singapore (NUS), and the NUS Environmental Research Institute. He holds B.Sc. 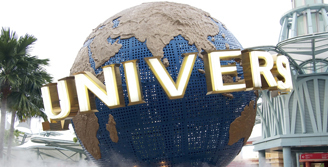 (Hons) and Ph.D. degrees from the University of Canterbury, Christchurch, New Zealand. His research interests are in separation science with a specific focus on miniaturized and solvent-minimized sample preparation, particularly as applied to environmental water analysis. He is currently an editor of the Journal of Chromatography A, and a member of the editorial advisory boards of Talanta, Chemical Data Collections and the International Journal of Environmental Analytical Chemistry. He is a past editor of Analytica Chimica Acta. Professor Lee is an elected Fellow of the Royal Chemical Society, the Singapore National Academy of Sciences and the Academy of Sciences Malaysia. Nigel John Clarke received his Ph.D. in Mass Spectrometry and Analytical Chemistry from the University of Kent at Canterbury in England, and completed postdoctoral fellowship training in Biomedical Mass Spectrometry at the Mayo Clinic in Rochester, MN. He was a Principle Investigator at the Schering-Plough Research Institute in Kenilworth, NJ where he ran the drug discovery metabolite identification group and worked at ActivX Biosciences (a biotechnology company) as Director of Mass Spectrometry before joining Quest Diagnostics Nichols Institute. At Nichols Institute, Dr. Clarke is the Vice President for Advance Technology and Solution Development overseeing R&D groups which develop the LC-MS/MS and Immunology assays utilized across Quest Diagnostics. His staff is involved in training visiting scientists from other Quest Diagnostics business units, adopting the new technology and assays developed in Dr. Clarke’s laboratory. He also oversees the running of LCMS assays across multiple operations laboratories within the Quest network. Dr. Clarke is involved in several academic collaborations with groups at multiple sites including Cedars-Sinai, the CDC and Massachusetts General Hospital and UCSF, utilizing the LC-MS/MS assays he and his group has developed to create and refine standardized reference ranges for both clinical studies and diagnostic usage. Dr. Michel Mikhail has more than 30 year’s Pharmaceutical Industry experience and track record of achievement in R&D and International Regulatory Affairs in large multinational Research-based pharmaceutical Companies, Biotech Companies as well as in the Generics industry. He is a Chartered Expert in Pharmacology-Toxicology, a chartered Clinical Expert as well as a chartered Analytical Expert. Dr. Mikhail served as member of the Expert committee of the Government Federal Institute of Risk Assessment (BfR) Germany and served as member of the Expert Committee for Toxicology of the United States Pharmacopoeia (USP). AnalytiX-2019 provides your company with an unparalleled marketing opportunity to get before industry decision-makers. Exhibiting at the right exhibition can be one of the most efficient, effective and successful marketing activities available to you. And it is developed to maximize your exposure, generate new leads, build brand awareness, and solidify business relations.